If you haven’t heard the speculation swirling around the cash-strapped Lotus F1 team and their potential buyout by former engine-supplier/owner Renault then you must not have been paying attention. But whether you have or not you can now rest assured that it’s official – Renault want to buy back their former team. The Enstone based outfit, which has raced as ‘Toleman’, ‘Benetton’, ‘Renault’ and ‘Lotus’ since its inception in 1981, has been desperately cash-strapped throughout 2015, and recently found much of its equipment impounded in a dispute over money owed to creditors, including HMRC. Now a press release from Renault signals the first official step toward Lotus returning to manufacturer ownership after they announced that they and Gravity Motorsports (an affiliate of Genii Capital, current owners of Lotus) had signed a letter of intent regarding the acquisition. A spokesperson for Renault said: ‘The signature of this Letter of Intent marks Renault’s first step towards the project of a Renault Formula 1 team from the 2016 racing season thereby extending 38 years of commitment of the brand to world’s premier motorsport championship series. The two companies have a spectacular history of winning, even taking into account a few fallow years which preceded Renault’s decision to withdraw from competing in F1 as a manufacturer in 2010. Between them they amassed three drivers titles (one as Benetton in 1995 for Michael Schumacher and two more for Fernando Alonso as Renault in ’06 and ’07), three constructors crowns, and taken over 30 victories since their first partnership in ’95. 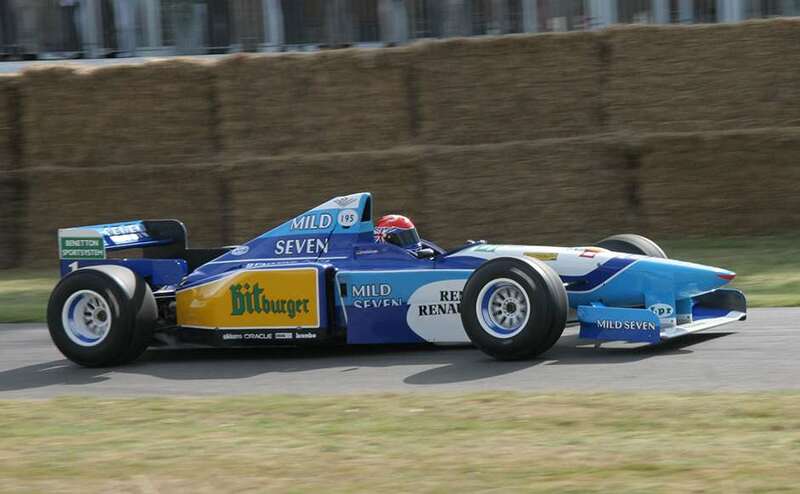 Fingers crossed we see the renewed Renault F1 team back at next year’s Festival of Speed.